Releases: TEkila Ep - No tengo Dinero. Sheep Shagger - Ringe Raja Records Love and Happyness - LLTA records Had Nuff! - Unjustified records. Full Powa - Unjustified records. Goulash - Ringe Raja Recods. Rub a Tub - Fukin Mic Records. Madness - Fukin Mice Records. Radio show La Selva: Every tuesday from 20h till 22h pm Spanish time. La Selva Crew http://www.facebook.com/LaSelvaRadioStation Coconutah and The Silly Tang have now linked up to create TANGY BEAR 808, this raw authentic old Ragga-Jungle, Balkan and often dubby riddim sound. 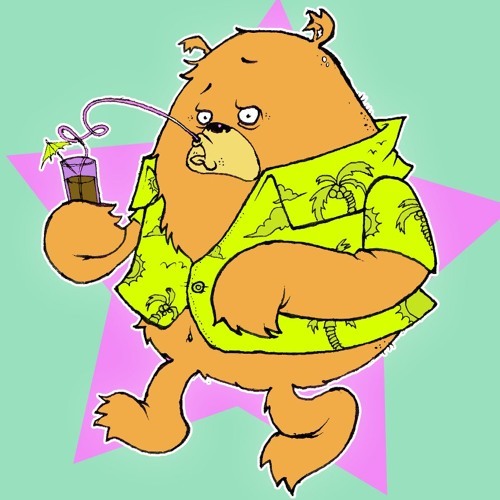 Bear 808 has been concocting and specialising in the production and mastering there songs. The Silly Tang has rinced out dance floors for over 5 years now playing along side DJ's such as Dj Randal, J-Man, Remarc, Serial killaz,Tapes (Jahtarri), The jungle Syndicate Crew, Aries etc...... Which he has gained a lot of experience on rythms and sampling. The sound they are trying to generate is the one that we all raved out to, ina di old skool jungle dances with an added spice of new technological experiments. For bookings or releases contact us on here :) and for any banter, twisted angle jaw breaker or just a nice line dont hesitate to drop a line pon di soundcloud. Tangy Bear 808 Winter Mix. Exclusive track preview. by TANGY BEAR 808. No tengo dinero remix. by TANGY BEAR 808. Big.Bamboo.Free.DL. by TANGY BEAR 808. Sheep Shagger. Out on Ringe Raja Records by TANGY BEAR 808. Tangy.Bear.808 - Back.to.the.Roots.Mix by TANGY BEAR 808. Moskovskaya. Boris Viande. Remix.Out on LAtin Bass records Records. by TANGY BEAR 808. Island Lover Rmx. (Work in progress) by TANGY BEAR 808. Madness. Out on Fukin_mice netlabel. by TANGY BEAR 808. Goulash. Out on Ringe Raja Records by TANGY BEAR 808. Rub a tub. Out on Fukin_mice netlabel. by TANGY BEAR 808.